Rising above economic woes and political setbacks, Indonesia is regaining momentum via its food and beverage industry that is boosting the steadily growing packaging sector, according to Angelica Buan in this report. For ASEAN nations, the year opens with sombre prospects. The World Bank’s fresh forecast for 2016 suggests an ambivalent year ahead for the Southeast Asian bloc that has recently adopted the AEC integration. A snail-paced GDP growth due to economic contractions has been forecast for Thailand and Malaysia, while the rest of the ASEAN are expected to exhibit strength and resilience. Indonesia’s GDP growth has been downgraded to 5.2% from the 5.6% projected in October 2015, on account of the domestic market reeling with high interest rates and weak exports. Meanwhile, exports of plastics and plastics products dropped nearly 19% year-on-year in 2015 to US$2.25 billion from US$2.76 billion, the year before. Regardless of the fact that the sluggish global demand will weigh in on plastics and plastics product exports, the Indonesian Aromatic, Olefin and Plastic Industry Association (Inaplas) expressed optimism that the country’s export situation will be uplifted this year. This is especially since domestic consumption for important products that require plastic packaging, specifically food and beverages, has remained strong. On another aspect, the manufacturing sector, which is amongst the country’s strong pillars, has ebbed for the 15th straight month in January this year. This at the back of the tail end of the decline in manufacturing production witnessed in December last year due to poor global demand; and a frail rupiah that resulted in higher production costs, according to a recent Nikkei survey. But since the manufacturing sector is pivotal to keeping the country’s economy firmly anchored, the Indonesian government has launched a series of stimulus packages, unveiling the first instalment the middle of last year to boost consumer spending and foreign investments as well as prop up an ailing currency. It is then expected that the country will rebound and account for nearly 40% of ASEAN growth by 2030, according to a 2013 Asia Consumer Insights Centre report. Undoubtedly, the food and beverage sector is one of Indonesia’s aces in attracting foreign investors. A recent report from the Indonesia Investment Coordinating Board (BKPM) confirmed this, as license applications from both local and foreign investors in the food sector from the 12-month period of 2015 was valued at nearly US$14 billion. With confidence in Indonesia as a suitable food production base, BKPM opines that the food sector is the country’s major engine of growth for the manufacturing industry. The Indonesian Food & Beverage Association (GAPMMI) views the country’s huge consumer base as a factor, backed by its population of 280 million and fast growing middle class segment. The association said that the turnover for Indonesia's F&B industry almost hit US$88 billion in 2015. Indonesia’s strength emanating from the food sector is confirmed by the 2013 IE Insights outlook report, which cited that the country’s expanding middle class, forecast to hit 135 million by 2030, will enable rising consumption spending in food services, packaged food and beverage sectors. What could be considered as the microcosm of the country’s industry activities is the previous year’s Plastics and Rubber (P&R) Indonesia exhibition, held 18-21 November, in Jakarta. The show, staged on 23,266 sq m floor space, drew the support from various local and foreign industry associations, and national agencies, including GAPMMI, the Ministry of Industry, Indonesian Food & Beverages Association, Indonesian Packaging Federation (IPF), Indonesia Woven Polyolefin Manufacturers Association (GIATPI), Indonesian Packaging Development Board (BPPI), Association of Plastic Converting Industry (APHINDO) and Indonesia Mould & Dies Industry Association (IMDIA). 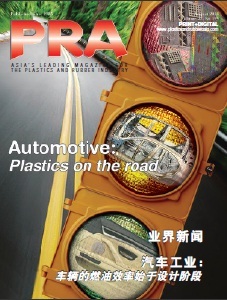 Furthermore, country pavilions were staged by the Taiwan Association of Machinery Industry (TAMI), Singapore Precision Engineering and Technology Association (SPETA), and British Plastics Federation (BPF). With more than 13,000 visitors, 638 exhibitors, nine international group pavilions and 39 exhibiting countries at the event organised by PT Pamerindo Indonesia, it is evident that the country’s appeal as a market and manufacturing base has not lost its lustre. BPF supported the show with its first UK pavilion. It said that Indonesia’s annual rate of growth for plastic consumption of over 6%, owing to its sizable consumer base and growing middle class sector, makes it also a berth for opportunities for both UK equipment manufacturers and skills and process developers. Apart from the successful staging of the exhibition, local-based companies continue to expand their facilities. 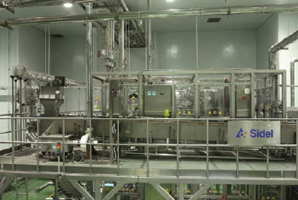 Last year, Bogor-based PT Hokkan Indonesia, a part of Japan’s Hokkan Group, installed the first Sidel dry aseptic line in Indonesia, following its installation of a wet aseptic Combi line, also from the Swiss packaging solutions provider. Hokkan, thus, expanded its production capacity as a co-packer of non-carbonated drinks in PET bottles for the local market. In the same year, New Zealand’s dairy company Fonterra also opened a US$36 million manufacturing plant in in the industrial city of Cikarang for blending and packaging Anmum, Anlene and Anchor Boneeto milk brands. This is considered its largest investment in the ASEAN region over the last decade. The Indonesian demand for dairy products will go up by 5% every year to 2020, said Johan Priem, Fonterra’s Managing Director. Surely, expansions in the manufacturing front have spilled over into the current year. 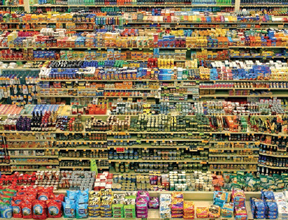 Research and Markets says the Indonesian packaging industry will reach a value of US$9.6 billion this year. Japanese chemical company DIC Corporation (formerly Dainippon Ink and Chemicals) announced that its Jakarta-based wholly owned subsidiary PT DIC Graphics (which makes inks from raw materials) is building a new EUR4.69 million blending facility for liquid inks for food and beverage packaging in Surabaya. It will then shift operations from its existing Surabaya plant into the new facility, which is scheduled to begin operating in May 2016 and is expected to double the company’s production capacity. The upcoming expansion is bolstered by a rising demand for packaging materials in Indonesia, DIC said, which also pegged the demand for liquid inks for packaging to about 80,000 tonnes in 2015. By 2024, it projects the demand to hit past 120,000 tonnes. Meanwhile, Swedish packaging player AR Packaging Group and Jakarta-headquartered PT Maju Jaya Sarana Grafika have formed a strategic partnership agreement to establish a cooperation in the manufacture, procurement, sale and marketing in Indonesia of packages made out of cardboard or other materials in combination with cardboard. The partnership is expected to drive the European firm’s manufacturing capabilities and market share with its multinational customers. AR Packaging is a merger of A&R Carton, one of Europe's leading carton board packaging groups, and Flextrus, a leader in northern Europe within flexible packaging. On a lighter note, a novel foreign-local partnership has taken shape with English football league Manchester United (MU) tying up with Indonesian beverage brand YOU.C1000 in a multi-year regional deal. 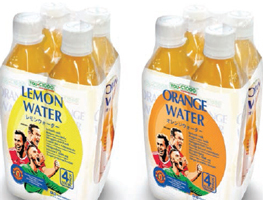 The Lemon and Orange Water isotonic drink to be marketed by the Indonesian company is expected to attract a following from MU’s growing, fan base in Southeast Asia. The more than 54 million MU followers in Indonesia is also testimony to a strong consumer base for this sporty concept. The drink’s packaging will feature images of the famous MU crest and firstteam players. More than a fad, consumption of healthy beverages is a growing trend in Indonesia. In an article published by Inaplas, it says that local consumers are making choices towards healthy food and drinks. “This is proven by their preference for healthy isotonic beverages, which can rehydrate their bodies, over carbonated soft drinks that are perceived to be less healthy,” it says. In the midst of this continuing developments in the industry, GAPMMI projects a modest growth of 8% in the food and beverage industry this year, albeit, comparatively lower from the previous year’s growth, which was mainly driven by price hikes in the food and beverage sector. 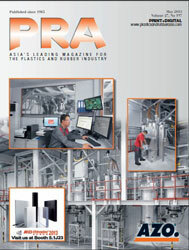 Likewise, Inaplas bears similar anticipation this year for the local plastics industry, in general, on account of improving economic conditions. Based on GDP growth projection of 5.3% year-onyear in 2016, amply increased from the previous year’s estimate of 4.7% year-on-year, Inaplas added that growth in domestic demand this year will be backed by the country's food and beverage industry, not to mention the agribusiness sector. In other words, there may be lingering challenges for the country, but the window of growth opportunities from food and beverage packaging will be bountiful, for a brighter year ahead.